You deserve to love your smile. 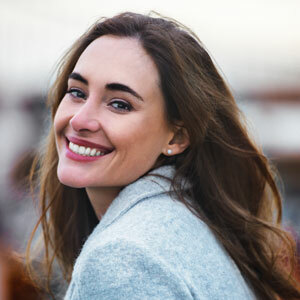 If you feel like your teeth need improvements, the team at May St Dental Centre offers multiple options to give you the appearance that will boost your self-confidence. These dental treatments can be combined or used alone to transform your smile. An attractive smile will boost your self-esteem, but it can also improve your oral health. There is a strong relationship between your mouth and overall health. By seeking treatment for any issues that you have, you’re protecting your long-term general health. If you have gaps in your smile, you’ve probably imagined what you’d look like with your teeth replaced. We recommend dental implants, which are the most modern solution available. An implant is a small titanium implement placed into the jaw. Once healed, a crown, bridge or denture can be placed on it, giving a fully functional tooth with a completely natural look. Though aesthetics is important, a missing tooth should be addressed immediately to protect the rest of the teeth. The surrounding teeth can shift out of alignment, travelling toward the gap, and the jaw bone can deteriorate, leading to tooth loss. Dental veneers are a thin shell that goes over existing teeth to correct chips, cracks, discolouration and misalignments. They’re bonded to the surface of your natural teeth, held strongly into place and needing just two appointments to complete. It’s a quick, effective way to achieve a long-lasting solution. A dental crown is a restoration that looks like an existing tooth. It’s a thin cap that goes over the structure of a tooth that has been compromised from decay, trauma or ageing. Usually made of porcelain, a dental crown reinforces the tooth and looks natural. If you’re not certain what you require, let us help you navigate the many solutions available to you. Contact us today to book a consultation! We accept health funds.